Here are some basic tips for creating a simple yet charming winter centerpiece or tablescape. 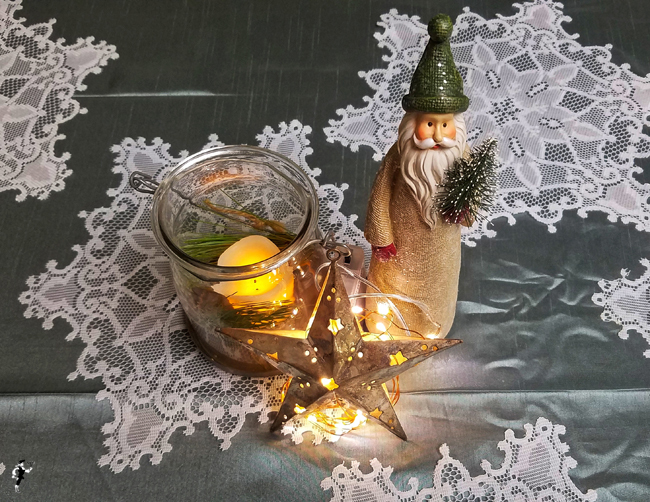 We have included a look from the tables in our break room that perfectly exemplifies how easy it is to create a seasonal atmosphere on any table. Snowflakes - The least you can do is throw some snowy accents onto a table. These snowflakes are made of lace, but you could also get crafty and make snowflakes out of high quality or decorative paper. Use less if you’re going big, and many more if the flakes are small. Glass jar - With a glass jar (or many) there is so much you can do. To keep it simple, we added a pine sprig to this handled glass jar – a little greenery can go a long way! If you don’t have any specialty jars or Mason jars, employ an empty vase or use a clean and de-labeled wine bottle and fill with greenery, sparkly beads or fake snow. 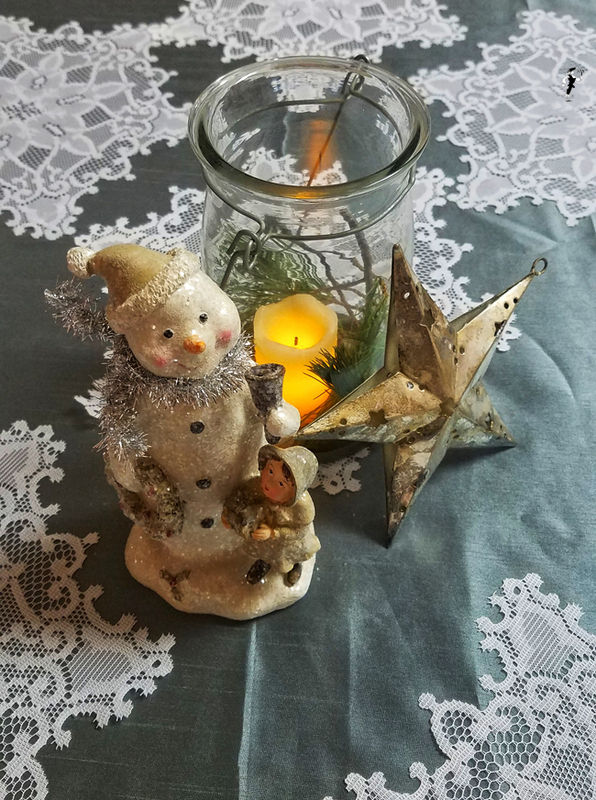 Collectible or Sculpture - These can be easily switched out as you celebrate specific holidays or occasions (like switching out Santa for a snowman after Christmas), and put an additional seasonal spin on the overall look. A figurine also gives you more of a chance to personalize the centerpiece, and maybe even act as a conversation starter (decorative salt and pepper shakers are great for this, too!). Lighting – During the winter, extra lighting adds more warmth to your decor and, since the days are short, more light! We used a flameless candle in the jar for worry-free lighting. We also placed a small string of lights inside of this metal star to give the centerpiece more illumination (below you can see the star without the lights). Check off these four centerpiece basics and celebrate winter more beautifully. Share your centerpieces with us on Facebook or Twitter, and tell us if we’ve missed any tablescape must-haves! 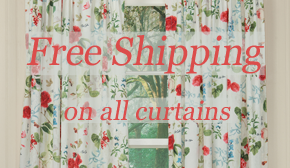 This entry was posted on Thursday, December 21st, 2017 at 12:25 pm	and is filed under Candles, Crafting, DIY, Decorating, Dining Room, Get The Look, Holiday Decorating, Kitchen, Lamps and Lighting, Rugs, Seasonal Decorating, Thematic, Thursday's Theme. You can follow any responses to this entry through the RSS 2.0 feed. You can leave a response, or trackback from your own site.